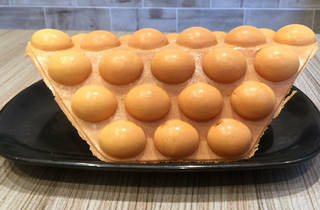 People have been getting those Emperor Puffs off of Dixon Street for decades, but did you know that they have a cousin around the corner in the form of egg waffles? 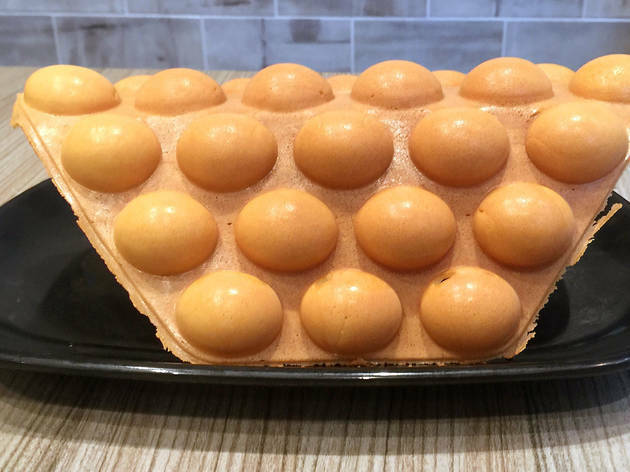 Hong Kong Day Dessert – a two-minute walk from Emperor Puffs – turns egg waffles (which they call egglets) into cones to take on the go or served flat on wooden boards. They come with mango, vanilla ice cream and whipped cream, or as matcha-flavoured egglets with matcha ice cream and sweet red bean paste. Go all out on a chocolate egglets served with cookies and cream ice cream, fresh strawberries and chocolate sauce.